September 21, 2016 0 comments on "Hands on Science for Kids aged 7-12"
Fostering and supporting our children’s interest in the field of science can help to balance their learning and curiosity. Learning through play can enhance what your children are being taught in school. In grades 2, 3 and 4 children are expected to demonstrate an understanding of magnetism, gravity and light. Using one of several science kits by ScienceWiz, including Magnetism, Electricity, and Heat and Temperature provide a great opportunity for parents to enhance their kid’s comprehension of basic scientific principles. Fostering children to investigate and challenge themselves is always a challenge. Entice your child with a top secret investigation. The Thames & Kosmos Forensic Science Kit is a sure way to make this a fun and exciting way to think outside of the box. Children can solve several mysteries by examining DNA prints, analyzing motives as well as other clues in order to narrow down suspects and solve a mystery. What is in your child’s future? Perhaps she will be a part of discovery a cleaner and more efficient fuel for the future. 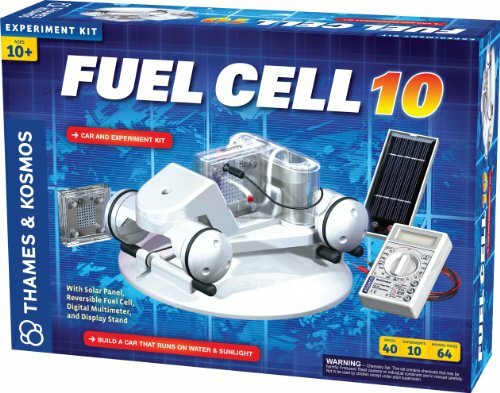 Thames & Kosmos Fuel Cell Car Science Experiment Kit is a unique science toy. Your child will learn how to build an environmentally friendly car and learn how it uses the power of water to propel itself across the floor! 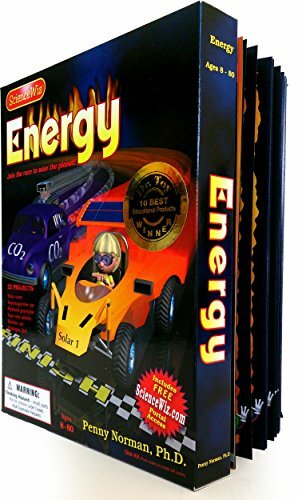 Children can read and participate in activities included in the Energy Wiz science kit by ScienceWiz. This kit teaches children about potential energy (energy that is stored waiting to be used) and kinetic energy (energy used while an object is in motion). Explore these concepts by building a solar racer to test the differences between potential and kinetic energy. Elenco’s Solar Deluxe Educational Kit provides hands on science instruction helping children learn how to build solar models and generate clean energy to power a radio or a calculator. Try a unique science toy that can help launch any aspiring astronaut or astronomer. Trigger your child’s imagination with a Motorized Solar System. 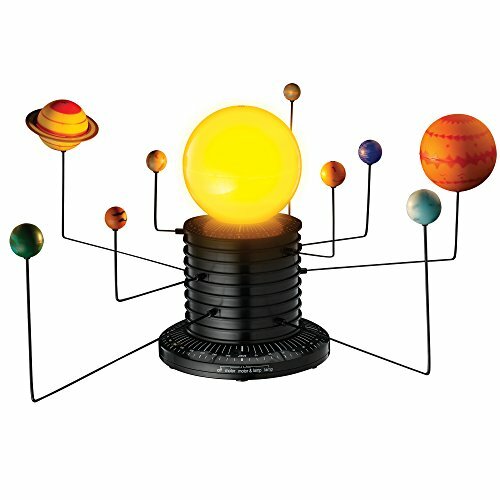 This dynamic science toy lights up and moves to demonstrate the workings of the solar system. Wonderful for home or classroom- kids can build their own planetarium. 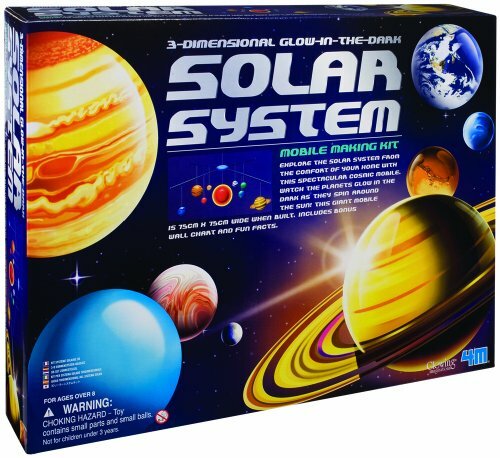 Another cool science kit is the Solar System 3D Mobile Making Kit. Assemble the plastic planets, use the paint included to color your system and attach to the mobile – a great activity for the home or the classroom. All these science kits include instructions and facts about our solar system. For more in depth knowledge of the universe, try the Usborne Book of Astronomy & Space, a great introduction to the wonders of space. Exploring the Night Sky by Terence Dickinson is a great book to help your kids learn about the universe and also includes an introduction into star gazing. Electronics is a subject that permeates every area of our lives. 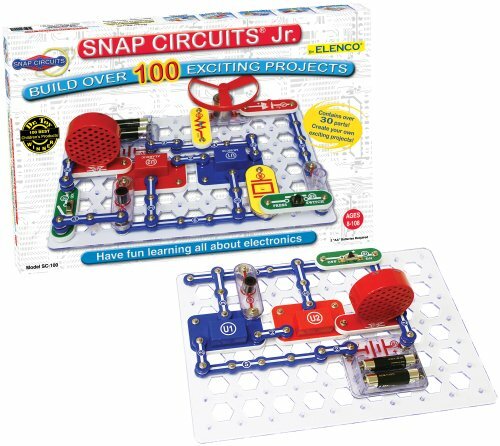 Elenco’s series of Snap circuits starts with 100 building circuits (Junior) to Snap Circuits 300 and Snap Circuits 500 Pro. 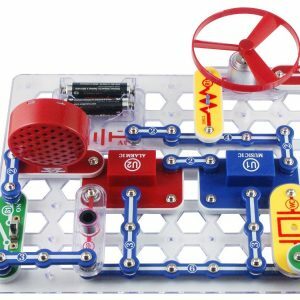 Science kits are great tools that can help both children and adults decipher the world of electronics by introducing some basic knowledge. If your child is curious and enthusiastic but is not inspired by science, perhaps you can persuade them with some unusual science kits and toys! Consider the homemade slime kit. Already used as a teaching resource around the world, your child can conduct slimy experiments and start a slime ooze contest. Does your child’s interest in animals command their full attention? 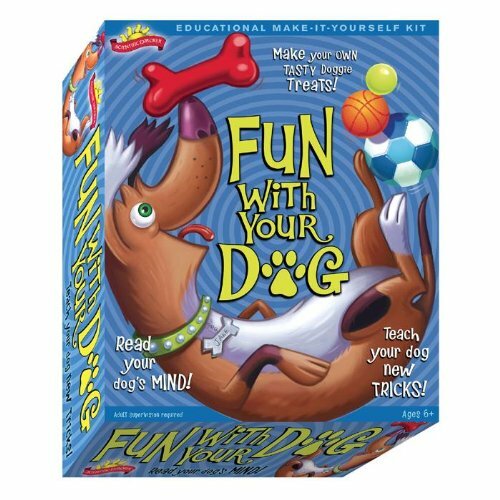 The Fun With Your Dog Science Kit might tempt their curiosity by testing a dog’s hearing, determining a dog’s personality or creating dog bone cookies. Take fun science into the bathroom with Scientific Explorer’s Spa Science Kit! Kids can mix fragrances, make foaming baths and create smelling potions. Determine how smells affect family members and friends differently – the ultimate test of the senses! Science is a subject that permeates every area of our lives and making it fun and interesting is what it takes to promote excitement. Science is essential for kids and with the easy to follow “learn by doing” concept, the natural way in which we all learned. Get in touch with one of the great kid’s science kits and toys available. Article written by LJ Bronart. Reprinted with permission. Like this article? Check out this egg drop experiment for kids and 5 fun magnet experiments for kids. Previous Previous post: Potty Training Boys: Is It Harder?